December 19, 2012 — Rocky Mountain Geology Volume 47, Number 2, published by the University of Wyoming, is now available online and in print. Volume 47 marks the 50th year of publication for the journal, which was originally published as Contributions to Geology from 1962 to 1998. December 17, 2012 — Alumnus Mark A. Bronston (BS , 1979), alumnus Paul J. Graff (PhD, 1978), and former Wyoming State Geologist Dan Hausel, recount how they were all members of the mineral (gold) exploration team that was awarded the Thayer Lindsley Award for an International Mineral Discovery by the Prospector’s and Developer’s Association of Canada in 2009. December 14, 2012 — While on sabbatical, Professor Carrick Eggleston has been working with the School of Green Energy Technology at Pondicherry University in India. December 13, 2012 — Under the direction of Erin Campbell-Stone and Brandon McElroy, a new consortium has been formed to examine aspects of tight oil occurrence in Cretaceous sandstones. 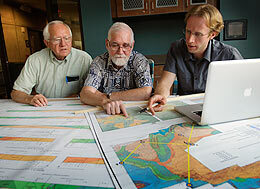 December 10, 2012 — Faculty and students from the University of Wyoming Department of Geology & Geophysics presented a record number of papers at the recent American Geophysical Union (AGU) meeting in San Francisco, Cali. from December 3–7 (http://fallmeeting.agu.org/2012). A total of 56 presentations were given at this year’s annual meeting. November 28, 2012 — Michael Cheadle and Barbara John, professors in the University of Wyoming Department of Geology and Geophysics, will soon set sail, but it won’t be a leisurely vacation as husband and wife. The two are part of a 26-member international research team that will cruise to a deep scar in the floor of the Pacific Ocean. 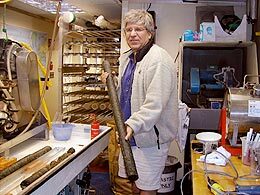 Their mission: to study rocks sampled from below the seafloor in an effort to better understand how the Earth’s crust is formed. 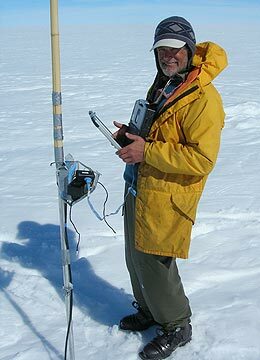 November 8, 2012 — Neil Humphrey agrees there’s no denying that the Greenland Ice Sheet is melting. But he and other scientists who have recently documented surface melt of the country contend Greenland is melting at a slower rate than the current world consensus of scientific thought. October 24, 2012 — Alumna Catherine Campbell (MS, 2007) recently received the Distinguished Service award from the Rocky Mountain Association of Geologists (RMAG). 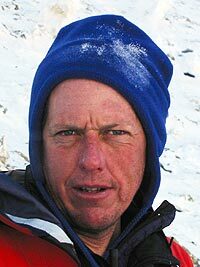 October 24, 2012 — lumnus Orion Skinner (BS, 1980, MS 1982) recently received the RMAG Outstanding Explorer award in recognition of his discoveries of the “Pronghorn” and “Lewis and Clark” oil fields within the Bakken Petroleum System. October 24, 2012 — A significant global warming event that occurred 55 million years ago witnessed increased carbon dioxide levels, and altered precipitation, vegetation and sediment accumulation patterns -- all of which contributed to rivers becoming deeper, wider and more mobile in western Colorado, according to a University of Wyoming doctoral student. 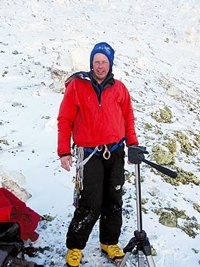 October 16, 2012 — You can follow Ken Sims as he explores Mount Erebus in Antarctica. And, no, you won’t have to rappel after him down the inside of a volcano. You can just click a mouse to get in on the action. 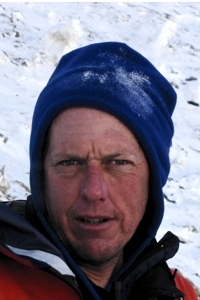 October 15, 2012 — Assistant Professor Clifford Riebe recently received a grant from the National Science Foundation in the amount of $86,714 to help support ongoing research at the Southern Sierra Critical Zone Observatory. 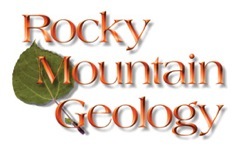 October 2, 2012 — The CLOCKSS Archive is pleased to announce that it has partnered with Rocky Mountain Geology (RMG) to preserve their ejournals in CLOCKSS's geographically and geopolitically distributed network of redundant archive nodes, located at 12 major research libraries around the world. October 1, 2012 — While it continues to grow and expand, one thing remains constant about the University of Wyoming’s annual Rocky Mountain Rendezvous (RMR): Everyone who attends has nothing but praise for the four-day fair that has evolved into one of the petroleum industry's major recruiting events. September 18, 2012 — One day, Po Chen may be referenced in the Wyoming Almanac. 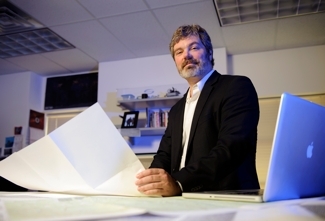 For now, he’s likely the envy of many of his fellow University of Wyoming researchers. 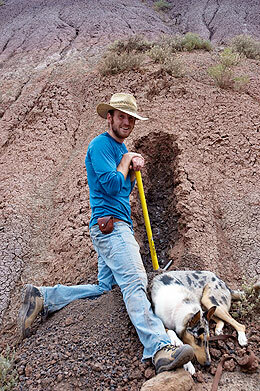 September 6, 2012 — Alumnus Tyler Powers (BS, 2010) is the featured writer of an article in the October issue of Earth Magazine published by the American Geoscience Institute (AGI). August 30, 2012 — In the world of geology, Wyoming is a mecca of sorts. It offers a geological history that goes back more than 4 billion years, from the enormous uplifts of ancient rocks in the Wind River Mountains to the much more recent thrusts in western Wyoming. There’s the active hydrothermal system in Yellowstone National Park. World-renowned formations and exposures are accessible across the state’s wide-open spaces. And geology plays a big role in the state’s minerals-based economy. 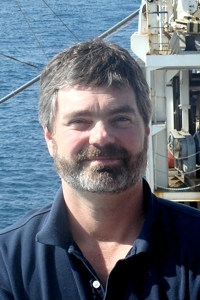 August 28, 2012 — In July, Professor Steve Holbrook sailed as Chief Scientist aboard the R/V Marcus Langseth to conduct a seismic survey of the Cascadia subduction zone off the coast of Washington state. The data will inform seismic hazard analysis in the Pacific Northwest. August 6, 2012 — Graduate student (PhD) Claire Lukens recently received an American Geophysical Union (AGU) hydrology section Horton research grant in the amount of $10,000. August 3, 2012 — Pictures of Antarctica usually revolve around snow, ice and penguins. Kenneth Sims' thoughts are on an active volcano in this remote region of the world. July 13, 2012 — A plan to research what may be the single most important set of issues for Wyoming and the Intermountain West has brought the University of Wyoming the single largest grant in its history. July 10, 2012 — Professor Barbara John received a grant from the National Science Foundation in the amount of $400,024. June 28, 2012 — Alumnus Gene L. Del Mauro (MS 1953) has been enjoying retirement since 2000 and spending time with his family, including two twin-boy grandsons born in November, 2010. He is currently writing a book covering his World War II experiences with General D. MacArthur’s aviation engineer regiment, titled, Destiny SW Pacific/Far East–A WW II Soldier’s Personal Odyssey. 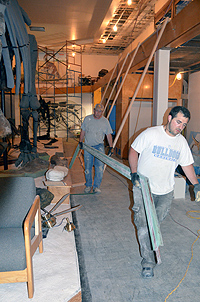 Del Mauro is also looking forward to the renovation of the Geological Museum. June 27, 2012 — Associate Professor Kenneth Sims recently received a grant from the National Science Foundation in the amount of $571,068. June 20, 2012 — Assistant Professor Clifford Riebe was recently awarded a National Science Foundation (NSF) grant in the amount of $55,560. June 18, 2012 — Rocky Mountain Geology Volume 47, Number 1, published by the University of Wyoming, is now printed and ready to order. April 27, 2012 — Alumnus Michael Hager (PhD 1973) was recently honored at the UW College of Arts and Sciences Awards Banquet where he received an Outstanding Alumnus Award. March 25, 2012 — The first time I came to visit the University of Wyoming (UW) was in May, 1981. I had already signed up to attend graduate school there so I was keen on seeing what it was like. March 20, 2012 — Alumna Beverly A. Blakeney DeJarnett (BS with Honor 1983) was recently elected Research Councilor of the Society for Sedimentary Geology (SEPM). 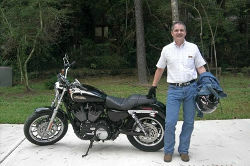 February 24, 2012 — Alumnus James (Jim) A. Barlow, Jr. (M.A. 1950; Ph.D. 1953, Honorary Doctorate 1988) continues to work as a geologist as he gradually retires. His son and daughter and four grandkids currently live in Jackson, Wyo. January 2, 2012 — Alumna Lesley (Cunningham) Urasky (B.S. 1990; M.S. 1993) is currently working as a high school science teacher in Rawlins, Wyo.